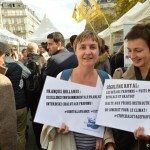 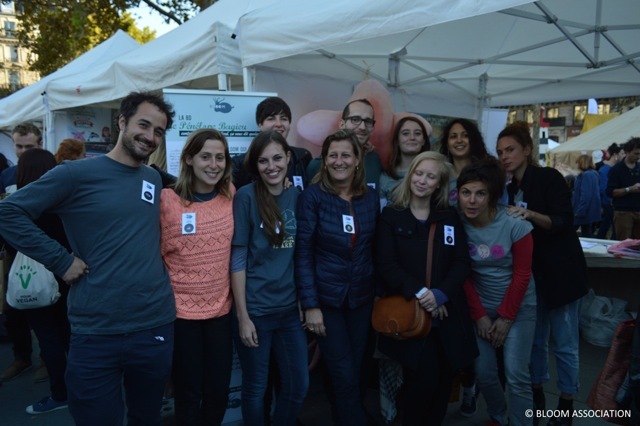 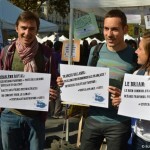 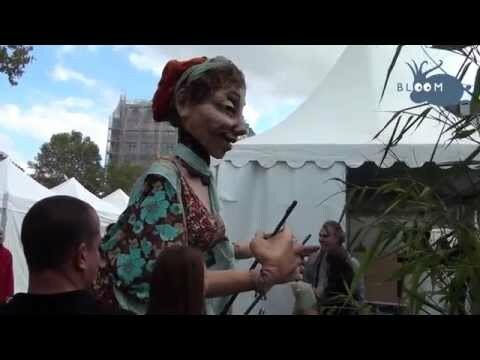 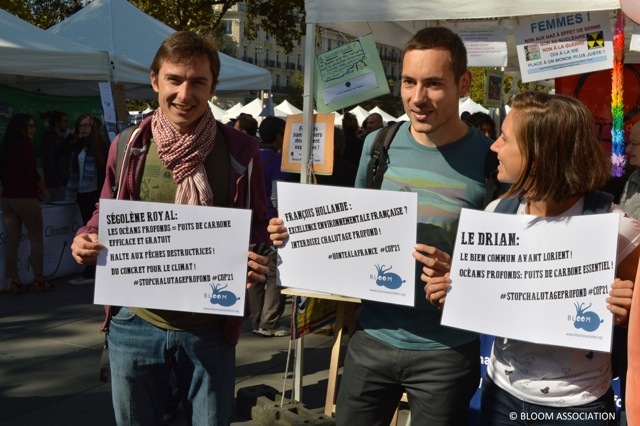 The citizen movement “Alternatiba Paris” organized a large event of alternatives on Republic Square during the weekend of September 26-27. 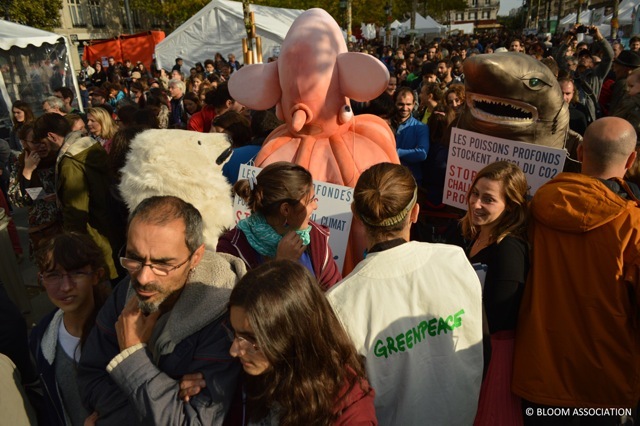 Two months before the COP 21, this festival of solutions for the climate attracted around 60,000 people and hundreds of organizations. 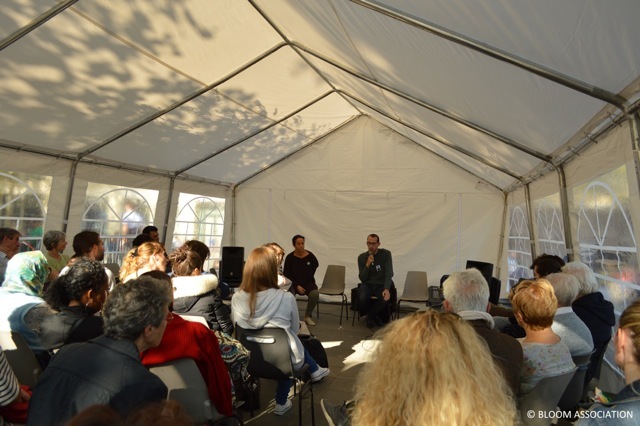 Dozens of debates, concerts, workshops, and artistic animations were also organized. 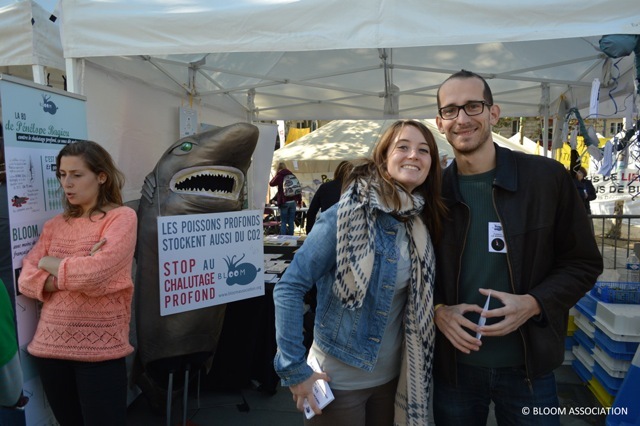 BLOOM association had a booth both days in the village, which provided the team with the opportunity to explain the role of the ocean in regulating the climate. 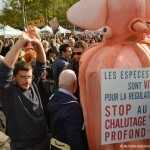 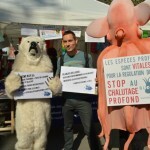 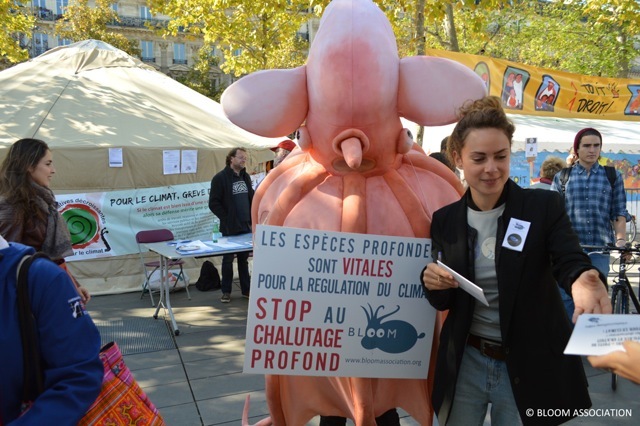 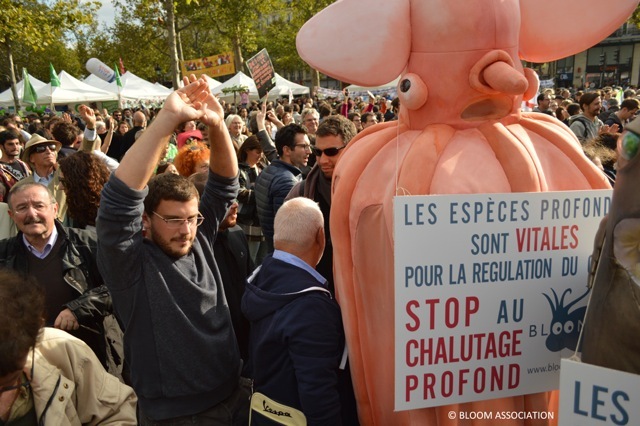 BLOOM also organized an action directed towards the French government in order to encourage them to take an exemplary measure for the climate by taking a strong position and support the phasing-out of deep-sea bottom trawling. 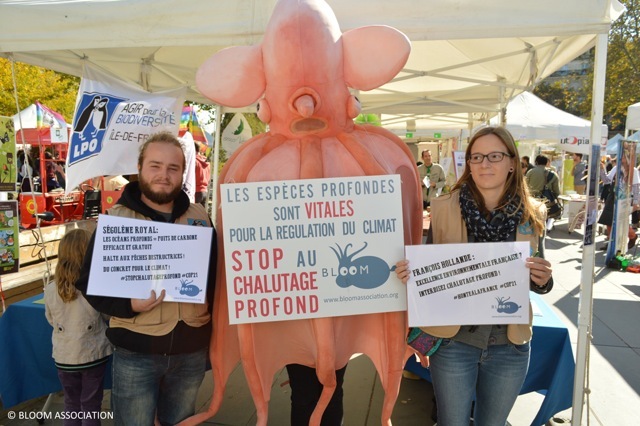 The EU Regulation proposing the phasing out of deep-sea bottom trawling is indeed blocked by France, due to intense lobbying by the industrial fishing sector. 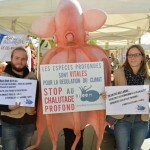 British researchers have shown that deep-sea fishes sequestrated a substantial volume of CO2 each year. 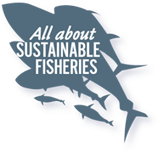 (1) Protecting the deep oceans from the most destructive fishing methods is thus a critical step towards mitigating climate change. 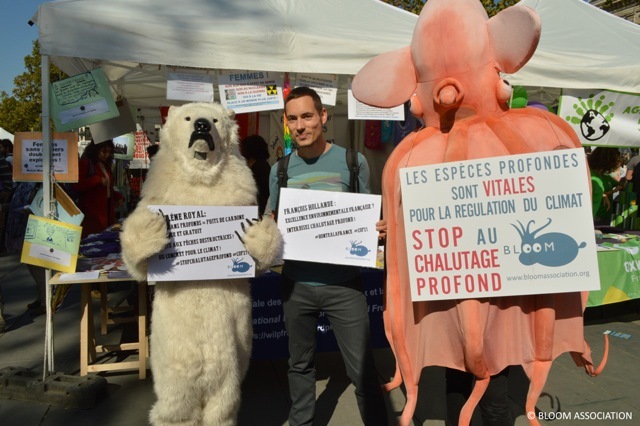 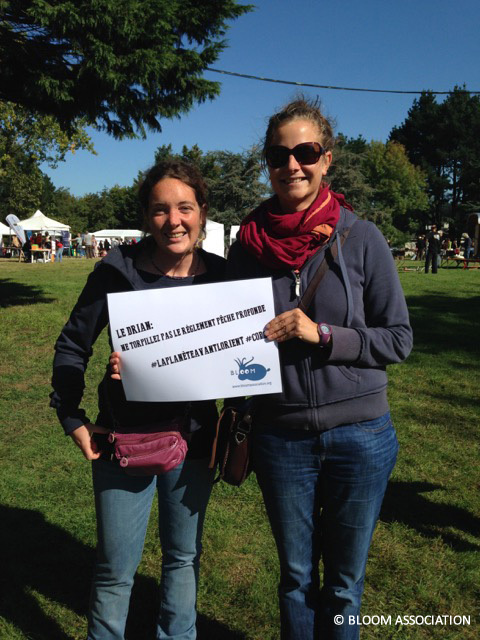 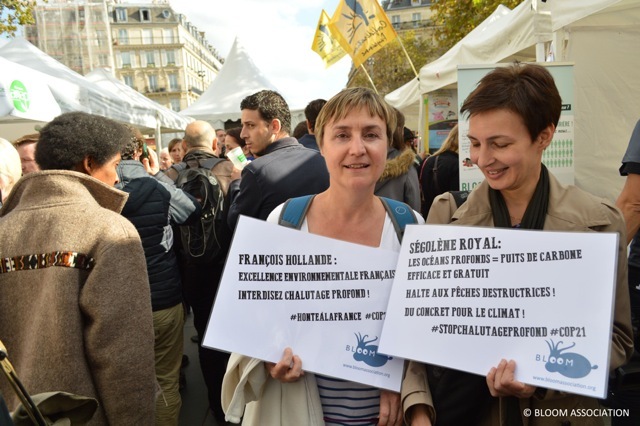 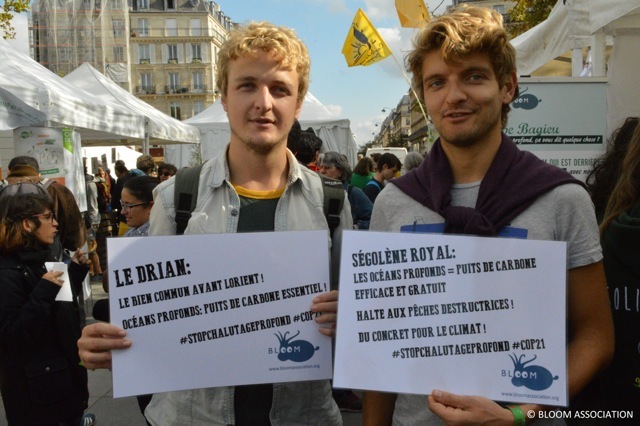 This weekend, people who came to the Alternatiba Village were able to join the 900,000 signatories of our petition and send postcards to François Hollande and Ségolène Royal, urging them to unequivocally support the phasing out of deep-sea bottom trawling in Europe. 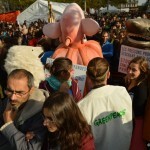 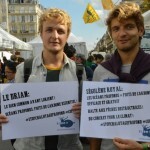 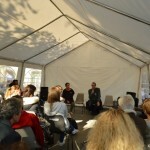 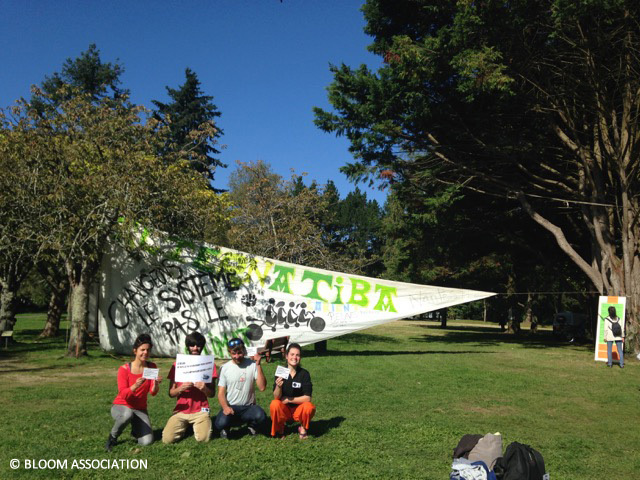 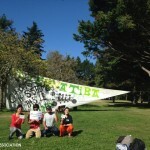 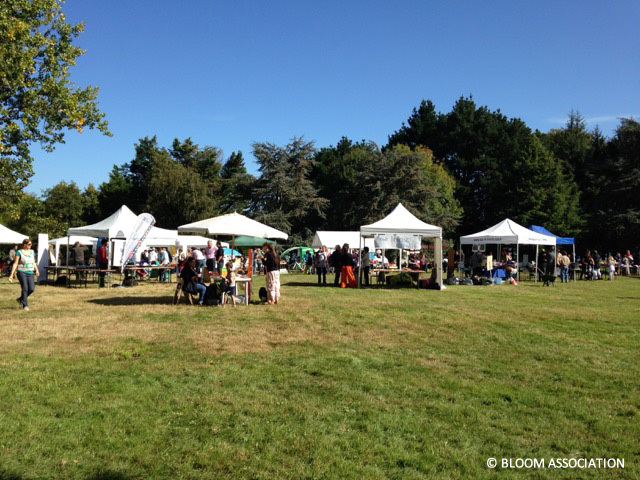 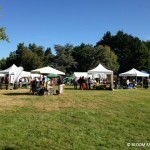 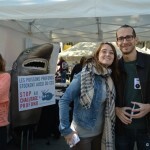 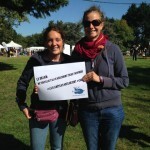 In Lorient, the Alternatiba Village only took place on Saturday September 26. 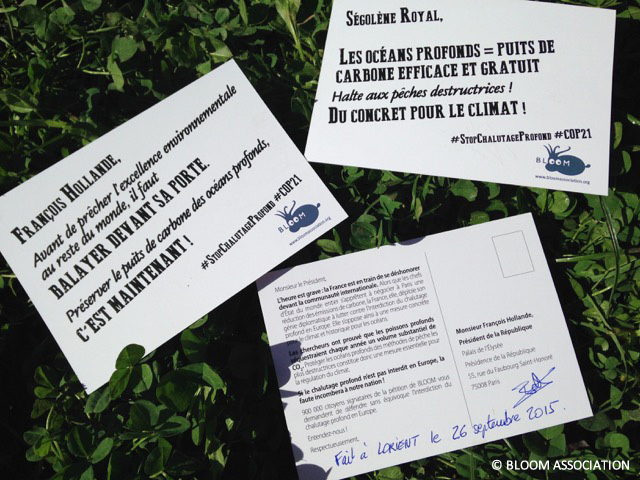 Out of the 180 people that were asked, 150 signed our postcards, thus respecting the ratio of the BVA poll that BLOOM conducted in February 2014. 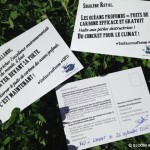 In total, 2,500 postcards were signed over the weekend and sent by mail the week of September 28.